We Believe...You Can Find Your Enerjoy! When you work out with enjoyment the changes come. When you’re just driven to achieve a certain goal, but hate the process of getting there, results don’t last. If you’re looking for the quick fix, we’re not it. Quick fixes are broken just as fast. Get off the diet crazes that cause your weight to yo-yo up and down. Get on to a personalized program that’s right for you. Habits can be hard to break. So Enerjoy Fitness includes hands-on lifestyle coaching. We’re here to help you achieve your immediate goals. We will provide you with encouragement, inspiration, and intensity which will help motivate you to create lifestyle changes that will make the process of getting there enjoyable and rewarding! Owner Ilana Lea’s passion and life’s work is achieving and maintaining optimal health forever, and inspiring and guiding others to do the same. Her exceptional success has been founded on blending enjoyment, intensity, and an appreciation for the beauty of every human body. 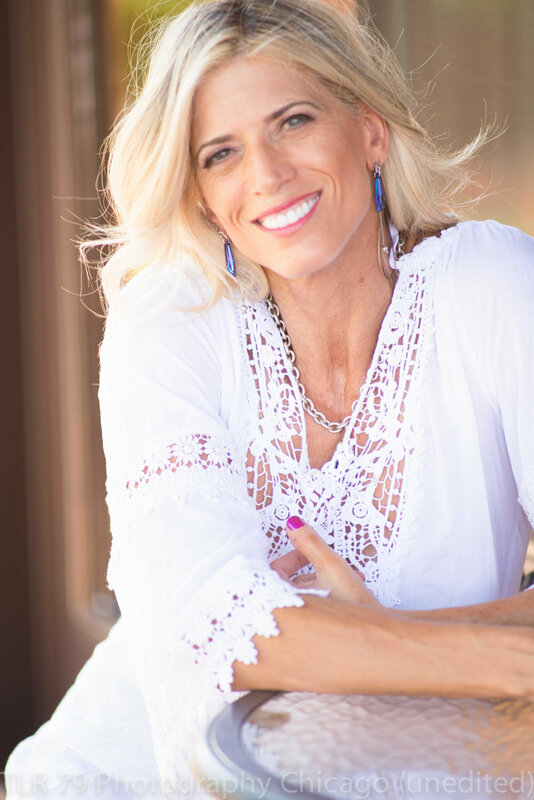 This along with her extensive knowledge of the most current trends in fitness and overall wellness, and the personal connection she establishes with every client has made her a highly trusted and respected trainer in Scottsdale, Arizona. She earned a B.A. Degree in Physical Education from Wingate Institute in Israel. She has earned teaching certificates in weight training and fitness instruction, physical fitness in combat, aerobics and gymnastics. An accomplished competitor, Ilana has won numerous national fitness and figure competitions, with her most recent victory coming in 2016 IPL Arizona Championship, where she won PRO cards. In 2016 Ilana became a Team Isagenix Athlete. 2012 NPC competition in Mesa AZ , 3rd place figure masters , 2nd place open division class C.
2016 IPL Arizona Championship competition in Mesa, AZ. 1st place and overall winner figure masters. 1st place figure open. Earned pro card in both divisions. Ilana is also the Ageless Education Coordinator for People Unlimited Inc. Originally trained in Europe, and certified by the Stretch to Win Institute and the American Muscle & Fitness Personal Training Institute, Dimitri has provided expert support and guidance to his clients for over two decades on three different continents. Dimitri is an accomplished athlete as well as a flexibility and strength coach, He was a renowned professional background dancer for international recording artist from 1989 - 1996. In 1997 at the Arizona State Power lifting Championship in Scottsdale, Dimitri set a national record in the Dead Lift. As a flexibility and strength coach, Dimitri emphasizes lifestyle changes as the key to enduring health, strength, flexibility and performance. Dimitri works closely with clients to help them achieve breakthrough results that last. Jon has been in the Fitness Industry since 2001 and spent his first 8 years as a personal trainer focusing on Corrective Exercise & Functional Training. It was during this time that Jon realized that there was a lack of information and understanding about proper stretching. Of course, everyone did some form of stretching but it was all based on what was taught decades ago. In 2009, Jon found his answer and it was Fascial Stretch Therapy at the Stretch to Win Institute here in Arizona. Fascial Stretch Therapy (FST) is a form of assisted stretching based on science that was developed by Ann Frederick at ASU in the early 90’s. It took Jon 3 years of training to complete his training in Fascial Stretch Therapy and to become a Flexibility Specialist. In addition to this training, Jon was also selected as a Teacher’s Assistant and in 2013 he became a lead instructor at the school helping teach workshops on FST. When Jon isn’t teaching at the Stretch to Win Institute he is passionately working with his own private client base which is a mix of professional & amateur athletes, and anyone from a business professional to your everyday hard working person. Why do people come see Jon? 1 – They want to feel better due to aches & pains in their body. 2 – They are an athlete and want to perform their best. 3 – Injury prevention and to feel young. 4 – It’s Pain-Free stretching. AZ on the Rocks is Arizona's largest indoor rock climbing gym, including a complete workout facility and climbing instruction. No experience is necessary. AZ on the Rocks rents all gear and provides basic instruction to all first-time visitors. The meaning of “Kaizen” is constant and never-ending improvement and change in your health and well-being. Our Kaizen practitioners recognize that you are a one of a kind individual, so your treatment plans are customized to your personal health needs and goals. Options for chiropractic care, physical therapy, acupuncture, massage, specialty lab testing, intravenous (IV) vitamin therapy and shots, nutrition, stretch therapy, and more! Our state of the art healing center is located in Scottsdale, Arizona. We invite you to take the next step in your health and well-being, and join the Kaizen Community today! A Cutting-Edge Medical Center valuing your Personal Health Change, using bio-identical hormone replacement therapy and anti-aging. Dr. John A. Robinson is a Board Certified Naturopathic Medical Doctor specializing in Natural Integrative Therapeutics, Endocrinology, Thyroidology, and Mind-Body Medicine. Dr. Robinson focuses his medical specialization on conditions of altered metabolism, particularly hormonal imbalances, menopause, andropause and low testosterone, thyroid disease, and adrenal dysfunction. Contact us today to learn how you can start enjoying your way to greater fitness and total well-being!